Back in the day, you would have to build your own bike from scratch if you wanted to end up with a top-shelf quality one. Nowadays, however, you can buy a complete BMX bike that’s made up of quality parts at a decent price, right out the box. But in order to get the best BMX setup, there are a couple of things you need to consider, given the fact that there are numerous BMX brands out there, and various different types of BMX bikes intended for different types of riding. Some of the popular brands you’ll come across when browsing BMX bikes are Academy, Wethepeople, Colony BMX, Kink BMX, Forgotten BMX and many more. Moreover, all of these brands manufacture BMX bikes intended for Street Riding, Racing, Flatland Driving and Ramp/Dirt Riding. That being said, knowing your intentions with the bike is of utmost importance when selecting a complete bike. Some brands don’t specify the type of riding they’re intended to, like the Inception Colony BMX for example, so you might have to look at its specifications and figure out whether they suit you or not on your own. But regardless what type of riding you’re going to be doing, there are a few things that you should look for in order to ensure a quality purchase. 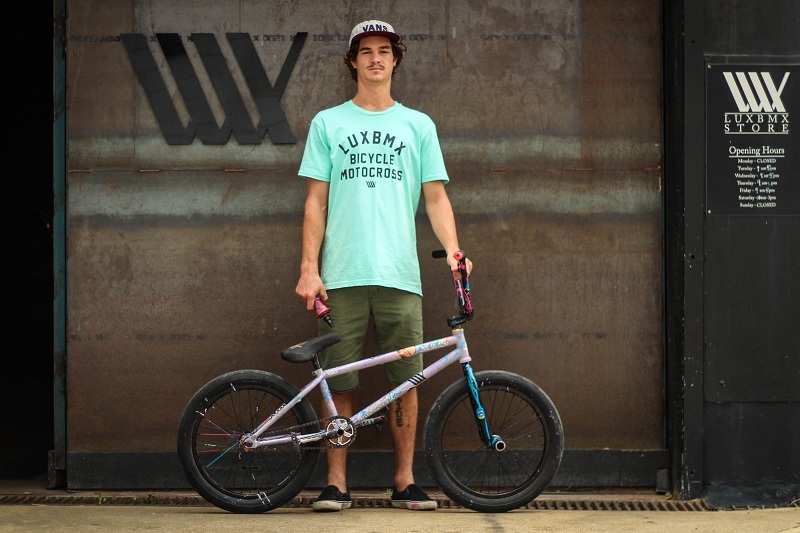 The ideal material for BMX bikes is chromaly, which is a lightweight, yet strong alloy metal. A lot of bikes are made of high-tensile strength, which is okay, but it makes them less durable and heavier. Paying attention to the amount of chromaly present in the bike’s tubing is essential. For instance, if you’re looking at two bikes with similar prices, the one with more chromaly will probably be the better option. However, BMX bikes with more chromaly in their alloy are more expensive. A centimetre or two in size might seem insignificant, but that’s far from the truth. Even a couple of centimetres can change the feeling of a bike noticeably. But luckily, most manufacturers make complete BMX bikes of all sizes, fit to accommodate from the youngest and smallest, to the oldest and largest riders. There are many online size charts you can use as a guideline, or you can go to a local BMX store and give a few bikes a test-ride and see which one fits you best. Let’s be honest, everyone has a price range. BMX bikes can cost anywhere between a few hundred up to several thousand. Set a limit up for yourself and do a lot of comparisons in order to get the best price within that limit. Don’t fall in love with a $1.500 bike when you can only spend half, you’ll just end up disappointed. This is especially true if you’re a new rider who doesn’t have the experience and may not need the properties that a $1.500 bike has, as nice as they may seem.